The Lone Star State might seem an unlikely place to find Amish, but one small community can be found in Texas. Amish furniture stores, however, can be found across the state, within easy range of Houston, Austin, Dallas, Fort Worth, San Antonio, Arlington, Garland, Irving, Grand Prairie, Pasadena, Amarillo, Lubbock, Texarkana, Plano, Corpus Christi, Mesquite, McKinney, and other cities. Amish woodworking is known for its high quality and use of hardwoods such as oak, cherry, maple, and walnut. Amish craftspeople produce furnishings for every room of the home, including the bedroom, office, kitchen, living room, children’s room, dining room, as well as outdoor furniture and structures. Solid wood Amish furniture from northern Indiana and Ohio. Living room, office, bedroom, dining furniture in multiple stains and finishes. Furniture includes dining room tables, chairs, curios, pie safes, sideboards, hutches, cabinets, entertainment centers, occasional pieces, bookcases, nightstands, armoires, chests, beds, dressers, baby furniture, hope chests, desks, filing cabinets, more. Central Houston location. Houston area outlet carrying a wide array of indoor Amish furniture from multiple craftsmen. Also carries outdoor Amish furniture – poly lumber furniture (made from recycled plastic), in a wide range of colors (chairs, gliders, benches, etc). Two locations in the Houston vicinity. Free delivery in Houston and environs; paid delivery elsewhere in Texas and surrounding states. Solid hardwood Amish furniture directly sourced from over 100 craftsmen. Woods include Oak, Hickory, Cherry, Maple, Quarter-Sawn Oak. Sample furniture includes roll-top desks, filing cabinets, baby cribs, cedar chests, dressers, beds, chests, chifferobes, hall seats, footstools, sideboards. Amish Barn also sells PA Dutch food including jams, jellies, honey, spreads, butters, honey butter, salsas, egg noodles, relish, whipped honey. Candied jalapenos, dip mixes; also sells tapestries and lamps. Convenient Houston-vicinity location. Wide range of Amish furniture, including Amish-made tables, chairs, curio cabinets, living rooms, entertainment centers, plasma TV stands; outdoor patio and deck furniture including swings, gliders, tables, lounge chairs. Thee Amish Shoppe also sells a range of wooden craft items and small furniture accessory pieces including magazine racks, toy boxes, cradles, CD towers, letter holders, plant stands, more. Houston-area dealer. For a more detailed guide to Amish furniture in greater Houston, visit the Amish Furniture Houston page. Dealer of Simply Amish furniture line. Traditional, Modern, Craftsman, Arts & Crafts, Mission-style furniture; including rockers, beds, dining rooms, office furniture, desks, entertainment centers, flat panel TV stands, more. Custom Amish furniture in the Dallas-Forth Worth area. Amish made oak, cherry, maple furniture (and other hardwoods) available in 20 varieties of stain, including hutches, buffets, wall units, stereo cabinets, chests, hall trees, umbrella stands, rocking horses, plus traditional dining room, living room, office furniture, more. Convenient location north of Dallas near Plano, McKinney area. Amish made dining rooms, living rooms, desks, computer stands, bookcases, chairs, beds, rocking horses, youth/children’s furniture, mirrors, four-post beds, coffee tables, and more. Convenient Austin-area location near highway 45 and 183 interchange. Amish furniture seller located in Austin vicinity. Solid hardwood Amish furniture for every room of the house. Two San Antonio-area locations. Dining, bedroom, children’s, living room, office furniture. Pieces include couches, chairs, rockers, recliners, TV stands, occasionals, entertainment centers, armoires, beds, chests, dressers, dining tables & chairs, desks, children’s bunk beds, more. Shaker, Mission, and other styles. Craftsmanship includes use of dovetailing and mortise and tenon techniques. Woods include brown or soft maple, hard maple, hickory, cherry, red oak, quartersawn white oak. Amish Oak in Texas also sells Amish food and gifts, including noodles, pickles, jellies, jams, baby beets, popcorn, spaghetti sauce, organic foods, chocolate, chocolate-dipped peanuts, yogurt-covered pretzels, more. Amish fireplaces, kitchens, hutches, dining rooms, rockers, bedrooms, office and outdoor furniture. Outdoor furniture includes canopy swings, trellis planters, gliders, rockers, tables, chairs, folding chairs, loveseat gliders, planter benches, Adirondack chairs, chaise lounges, A-frame swings. Also sells an array of gifts and Amish and Mennonite foods; horse-drawn wagons. Located 1 hour+ north of San Antonio. 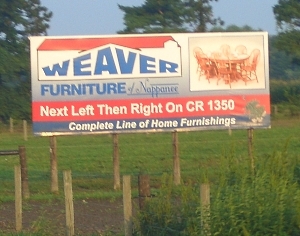 Wide range of furniture from over 50 different Amish builders in Ohio, Indiana, and Pennsylvania. Amish made tables, dressers, beds, chairs, bar stools, swings, hickory rockers, desks, dining tables, mirrors, hutches, cabinets, coat stands, and more. Two locations, in Lubbock and Amarillo. Indoor and outdoor Amish made wood furniture, also “green” poly outdoor tables, rockers, gliders, swings, pergolas, gazebos. Children’s furniture, living room, bedrooms, office furniture; entertainment centers, rustic furniture, Mission furniture, more. Within easy driving distance of Killeen and Waco. Amish made wood dining sets, rockers, gliders, couches, recliners, beds, office furniture, gun cabinets, outdoor (poly) furniture (including rockers, gliders, swings, chairs, tables, patio tables). Also sells Amish food including pie filling, noodles, pasta, cottage ham, dip mixes, cappuccino, salsa, soups, bulk spices, lady finger popcorn, canned fruits, pickles, jams, jellies, apple butter, pumpkin butter, cheese, summer sausage, ring bologna, smoked bacon, fried pies, regular pies (strawberry-rhubarb, blueberry, pumpkin, pecan, cherry, and apple). Located in Texarkana. Looking for Amish furniture dealers outside Texas? Try the Amish Furniture main directory, with listings of Amish furniture sellers and Amish woodworkers across America. Note to Texas residents: Please be sure to check opening hours of any Amish furniture businesses listed in this guide before traveling long distances. While we strive to keep this directory up-to-date, business locations and schedules can change. Not responsible for changes to information. The Lone Star State is known for a lot of things, but not its Plain population. But a remote corner of Texas harbors a small Amish community, in existence since 1999. In the environs of Beeville in Bee County, an hour north of Corpus Christi, you’ll find a small Amish community of a single congregation in size. Amish in the Bee County settlement work in a variety of occupations including produce growing, beekeeping, horse training, buggy making, and horseshoeing. The Bee County settlement is not Texas’s first Amish community. Over the years Amish have made a numer of attempts to establish a presence in the state. 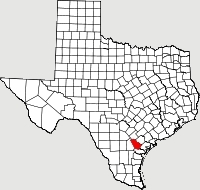 Locations of former Amish settlements include Hale County, Hidalgo County, and Dimmit County. In the 1980s an atypical settlement of Amish migrant workers arose in the area of Stephenville, in Erath County. That community has since disbanded. Read more on the Bee County settlement and previous Texas Amish communities in a feature article on Texas Amish. Amish have deep roots in agriculture. But alternative occupations, such as small home-based businesses, have become popular in Amish society in recent years, among Texas Amish and others. One reason for the rise of entrepreneurship is difficult farming conditions–either due to high land prices, or a poor growing environment..
Amish settlers to the West and other less-common locations have often depended upon small businesses such as woodworking shops in order to make a living (see Amish settlements in Montana or Colorado). The present Amish population in Texas is no different, having established small shops along with limited agriculture, at least partially in response to the local growing conditions. Another reason Amish have gravitated to furniture making and similar occupations is the opportunity for home family life it provides. Crafting high-quality furniture in a small shop located a stone’s throw from one’s front door is a rewarding position for many Amish to find themselves in. Amish men, heads of household and typically the primary breadwinners, are able to work in close proximity to family as well as earn a living doing a manual trade that allows them to exercise creativity–and without requiring higher formal education to perform. Family can and often is involved in the business, from wives to sons and daughters who help with furniture production and management of the business side of the operation. Buying Amish furniture in Texas is easy. The most obvious choice for residents of larger Texas cities such as Dallas, Houston, Fort Worth, San Antonio, and Austin, among others, is to visit a local Texas Amish furniture outlet. With well over a dozen Amish furniture retailers in the Lone Star state, most major Texas cities either have an Amish furniture seller in the immediate vicinity or within a short drive. Visiting an Amish furniture store allows you to peruse various lines of furniture, or in some cases to place a special order for custom furniture made by an Amish craftsman. Most Amish furniture sellers have arrangements with Amish wood workers in Midwestern or Eastern states, who in turn fulfill customer orders and keep their many retail stores across North America supplied. An alternative to buying direct from an Texas Amish furniture retailer would be to visit an Amish community in person and purchase straight from an Amish craftsman. This is also a popular option, particularly in states with sizeable Amish populations. However, remember that not all Amish sell furniture direct to the public, instead maintaining a wholesale relationship with their dealers, who essentially provide them a window into markets in other states and around the nation. Since Texas’ Amish populati0n is relatively small, this strategy would likely require a good bit of travel, at the least to another Midwestern State with an established Amish population and Amish furniture industry. A final option for Texas Amish furniture shoppers would be to order Amish furniture online from an internet dealer. There are numerous such Amish furniture retailers present on the web, and many provide delivery to Texas addresses, and for that matter locations across the nation. While the Texas Amish population may remain small today, residents of America’s second-largest state have a number of options for buying Amish woodcraft. Please let me know if you make row boat shelves in your stores and can be delivered to Live Oak, TX. I need some Amish-made oak wall shelves, about 3 ft x 12 in, 2 shelves on one unit. Pls reply back. I need a food pantry . Can you builds pie cabinet with shelves to use as a pantry?